Sydney siege: police commissioner admits 'we should have gone in earlier'. Sydney siege: NSW Police Commissioner says 'we should have gone in earlier'. NSW Police Commissioner Mick Fuller has conceded armed officers at the 2014 Sydney siege should have been sent in earlier to rescue the hostages and not waited until Tori Johnson was shot and killed. The stunning concession came after an 18-month inquest into the siege. Coroner Michael Barnes has announced the findings from the long inquest, saying police waited too long to go into the cafe at 2:03am. “We certainly should have gone in earlier,” Commissioner Fuller told Four Corners. 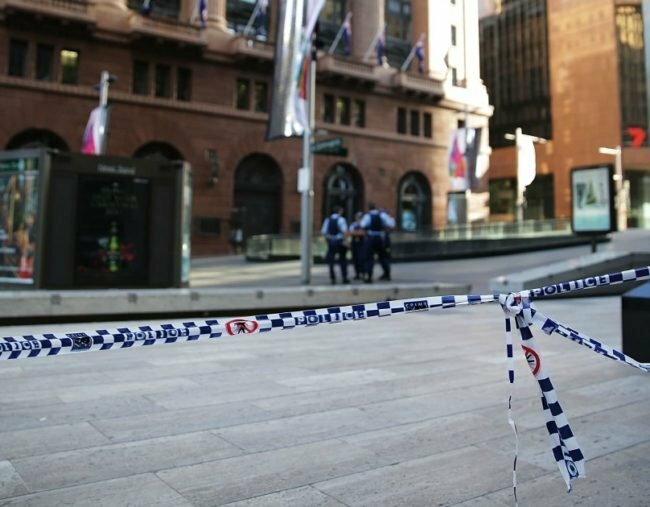 During the siege inquest, some police commanders defended the decision not to enter the Lindt Cafe when the situation inside deteriorated, especially as gunman Man Haron Monis had repeatedly claimed he had a bomb in his backpack. Just after 2:00am, Tori Johnson was forced to his knees by hostage-taker Man Haron Monis, who fired his sawn-off shotgun over Mr Johnson’s head. “There’s an expectation from the community, and I think it’s a fair one, that we will show force in those situations in future,” he said. The commander of the tactical unit on the day of the siege was pushing his superiors for approval of a pre-emptive plan to rescue the hostages. Mark Jenkins was the overall police commander at the end of the siege. The forward commander in charge in the final minutes of the siege also said he did not order an emergency action to send in police for fear of a bomb. “I was sending those police into die. I fully expected that bomb to go off at that time. I was going to lose all the tactical police … I was going to lose all of the hostages,” he told the inquest. Monis shot and killed Mr Johnson at 2:13am. Police killed Monis shortly after entering the cafe and, in the chaos of the emergency action, hostage Katrina Dawson was also killed by fragments of police bullets. During the siege, police commanders relied heavily on a psychiatrist, brought into advise negotiators. Commissioner Fuller said that whether the psychiatrist would work with police in the future was “under review”. During the inquest, the psychiatrist admitted that his knowledge of Islamic State (IS) was not up to date. Despite this, he advised police commanders during the siege that Monis showed no signs of IS methodology and was “grandstanding”. “No one person should be able to influence a commander to make a decision,” Commissioner Fuller said. Monis was on bail at the time for accessory to murder and had also been charged with 43 sexual assaults. At the inquest, the psychiatrist downplayed the violence of those assaults, repeatedly describing them as “acts of seduction”. Commissioner Fuller said that view did not fit with NSW Police thinking on sexual assault. “Not sexual assault, not domestic violence, not any violence towards women or the community,” he said. “People will give you poor advice during operations and I’ve been given poor advice myself. You need to have the courage to filter that,” Commissioner Fuller said. At the time of the Sydney siege, Mick Fuller was commanding the Central Metropolitan Region and was the officer in charge of the police response for the first hour. “At that stage, it would’ve taken a shot being fired or some other apparent act of violence for me to call what is known as an ’emergency action’,” he said. When then-police commissioner Andrew Scipione declared the siege a terrorist event, Fuller was replaced by Assistant Commissioner Mark Murdoch. By the evening, the ‘trigger’ for an emergency action was fixed at a much higher level — police would only go in in response to a death or serious injury of a hostage. During the inquest, police argued that an imminent threat of death or injury to a hostage was also part of the ‘trigger’. While there was no reference to this secondary ‘trigger’ by commanders on the day of the siege, Coroner Michael Barnes concluded in his inquest findings today there was a secondary trigger in place. “The emergency was only activated after the primary trigger was reached,” he said. “The 10 minutes that lapsed without decisive action by police was too long. Tori Johnson was executed in the meantime before the decision to entered the cafe was made,” the NSW Coroner said. Mr Fuller was promoted to Commissioner in March 2017. He said he planned to empower commanders to approve pre-emptive assaults in future terrorist events. “I will ensure that future emergency actions are not just death and serious injury, but there is attached a reasonable set of actions that will give police confidence to go in,” Commissioner Fuller said. The Commissioner’s interview with Sarah Ferguson will air in Part Two of the special Four Corners investigation The Siege on Monday night. © 2017 Australian Broadcasting Corporation. All rights reserved. Read the ABC Disclaimer here.